Disclosure: I got this product as part of an advertorial. 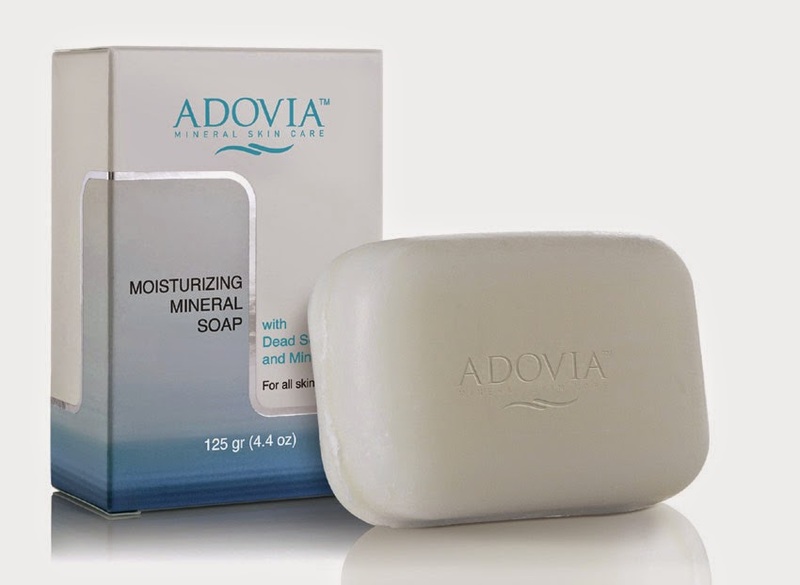 The Adovia Moisturizing Mineral Soap is the most recent of the Adovia products that I have reviewed. I opened the package in the car and my husband exclaimed, "What is it? It smells like something my Great Aunt Mildred would wear!" I was not in love with the scent as it smells like a strong perfume. I decided even though the scent was strong, I needed to continue on with trying it out for the rest of the review. Although the bar can be used as a face and body soap, I have only used it on my face and will continue to only use it as facial soap. I have used it for three days and have already noticed a difference. The biggest difference is in my complexion. My skin tone has evened out and a few breakouts have been cleared up faster than other soaps, lotions, and potions would take. I would recommend this to anyone that has redness, blackheads, or an uneven skin tone. Fortunately, the scent is strong in the bathroom from the soap, but it not noticeable on my face and hands. I would not be able to use this if the scent remained strong on my face. The Moisturizing Mineral Soap is available for purchase on Amazon for $11 which includes free shipping. It is worth the money as it really did help my skin look more healthy within three days.